Traveling Food Lady: Chef Dennis and his no knead bread~it works! This bread sounds wonderful. Thanks for stopping by. I like your blogs and I am a new follower. No knead bread is quick with almost instant gratification. The perfect comfort food. 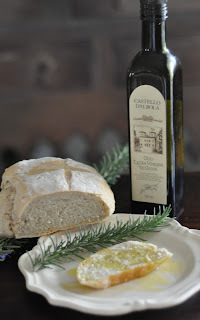 That's the Artisan Bread in 5 Minutes a Day recipe that I love! I've been making this recipe for several years and it is sooooo good. Love no-knead bread. (Because I am a lazybones) Perfect everytime! Yours is beautiful!